Lucia and her mother and baby brother lived with a velvet-brown cow and a milk-white cat in a little house at the foot of a mountain in the Far North. The cow gave milk, the cat slept by the fire, and the baby cooed and grew fat by the hearth. They were happy together, even when the winter piled snow outside their door. So begins this beautiful, fantastical tale about a little girl’s marvelous adventure to find the sun that has disappeared from her world. Her drive and determination to save the life of her baby brother help fuel her to keep going when her body was wanting her to stop. Her quick thinking and cleverness aid her when the battle seems too great after trolls capture her. Links to resources – I thought for this story it would be fun for children to learn more about the Norse, considering it is influenced by Norse folklore. I found an excellent site on the BBC that gives a history of the Vikings. I also found this site that links to a number of Viking related material, including the BBC site I previously mentioned. The name Lucia is very well known in Scandinavia. On Dec. 13, according to the old Julian calendar, St. Lucia’s (St. Lucy’s) Day is celebrated. Cross-country skiing would also be a great activity to do after reading the book (and then a warm cup of hot chocolate afterwards!). Why I liked this book: As I said in the beginning of this post, once I read Lucia and the Light I knew it had to be on our list. It is just magical. Phyllis Root’s storytelling is fantastical. It is a wonderful tale of courage and perseverance. Mary Grandpré’s gorgeous soft pastels create a wonderful world that you feel a part of. Grandpré’s art may be familiar, as she is the artist who created the Harry Potter book covers. In this modern world, well crafted fantasy stories for children are a rare treat. Root & Grandpré did a wonderful job of bringing this story to life. The complete list of Perfect Picture Books and their resources can be found at author Susanna Leonard Hill’s website. This wounds wonderful, Loni! I am a big Phyllis Root fan to start with, the illustrations look delightful, and the opening sentence just pulls you right in. The activities you’ve suggested sound really fun and educational. Thanks so much for sharing this one! You’re welcome! Thanks for commenting. Have a great weekend! You can click the picture of the book above to purchase at Amazon. Otherwise, I am sure that other bookstores and libraries will carry it also. It is from Candlewick, so I bet it is pretty easy to get ordered in. Thanks for your comment, I bet you will love this book! Loni this sounds epic and enchanting and I so want to see the illustrations, now. I have worked internationally for many years and have often celebrated Santa Lucia with Scandinavian friends! Thanks so much for your comment. That is wonderful that this book will remind of you of such great memories. You will love it. Lyrical opening! Lovely. This sounds like a great way to explore another culture. It also sounds as though the reader would feel Lucia’s emotions clearly through her journey, which would make it even better, in my opinion. Oh yes, between the writing and the drawings, you really do get a feel for her emotions. In one spot, she lies down in the snow because she is tired. It was very emotional for me as a reader. Not many picture books grab me like that. And yes, it is a great lead to exploring more things about Scandinavian culture. Oh what an interesting storyline. I can’t wait to read this one to my kids! Thanks for sharing Loni! Loni, I need to borrow a grandchild and go read this book to/with them! I love the way that you provide some links to further information and an activity that relates to the story. Thanks so much for stopping by. I appreciate your comment! I will also add your blog to my feed and follow you on twitter. Great to meet new friends! Wow! This sounds like a fantastic story that my boys would love. I will have to add it to our weekly, library list. Oh great! I hope they enjoy it Natalie. It is a beautiful book & story. Great book, I love anything that reflects another culture. This reminded me of when we visited there some years ago. It was mid summer and only about half hour of darkness…lol. Amazing. Love the illustrations. Thanks Loni! You’re welcome! Yeah I remember the darkness in Alaska too. But in the summer, it’s awesome to have it be midnight and still light out 🙂 Thanks for the comment! That sounds so beautiful! Will have to get my hands on that one — thanks for sharing! Oh yes, it is a must for any library/home. It is a beautiful book! Love your selection Loni! It’s so important for kids to understand other cultures and some of the hardships. I know so little about the Norse, that I’m going to have to read this one. Thanks for sharing. Definitely belongs on the PPB list. I agree Pat! As an Anthropology major, I am all about cultures 🙂 Any book I find that introduces a child about another culture I gravitate too. Thanks for your comments! We have this book in our library collection-I have been meaning to read it-the cover is so appealing. It really does sound like a magical read, and I like your ideas for activities. Could lead to a cool research project! Hi Kelly, isn’t that cover fantastic? That is what drew me to the book also. Each page is magical, in the storytelling and the illustrations. You will love it. I’m still reading picture books with my ten year old, right before we start reading our own chapter books, and this looks like something he would enjoy. We like Norse themed stories. Oh yes, it would be a perfect addition! Thanks for your comment Beth. This sounds like a wonderful book. Thanks for sharing! A new-to-me book, this sounds enchanting. It is Zoe! Thanks for the comment. I enjoy magical. Such a growing list of books to check out, especially after this week. I think I see the Harry Potter-look on the cover you shared. I’ll have to study the illustrations too. Yes, I recognized it when I picked it up at the library. Her soft pastels are striking and memorable. We read this book every year on St. Lucia Day when we also make the traditional saffron buns. It’s a lovely book. Oh that is wonderful! Thank you for sharing! What a lovely site this is. Inspirational. Found it through the blogger comment challenge but shall surely be back. Ah, yes. Lucia and the Light lives on my bookshelf in my studio simply because of the way the illustrator handled the lighting. It’s a great book. I agree, she is a master at light. Each page is a fantastic piece of art. Thanks for the comment! I really like your review format – it’s super helpful. Your review was insightful and well written and really makes me what to check out Lucia and the Light, which I’ve never read. Thank you Magdalena. 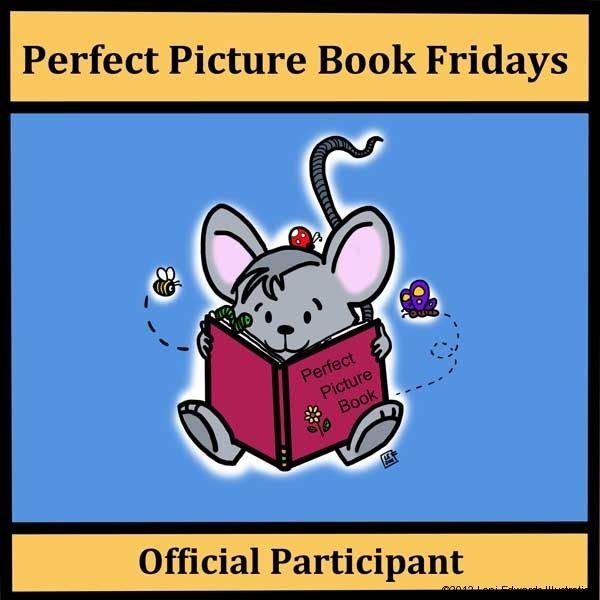 I can not take credit for the format, that would be the creation of author Susanna Leonard Hill who hosts the Perfect Picture Book Fridays blog. But I agree, the formatting is spot on. I hope you enjoy the book as much as I did 🙂 Happy reading and thanks for stopping by my blog. I hadn’t either Darshana. But I plan to check out more of her books as I come across them. I really liked her writing. You will like this one. It is fun 🙂 Thanks for the comment!